Ones of the main reasons people like to camp is to spend time being closer to nature and escape the daily grind. But when you’re in a group, whether that means the family, a group of friends or even just a partner, you may not be able to enjoy your surroundings fully. The noise, busyness and constant distractions might take away from truly revelling in what you came out to see: the natural world. 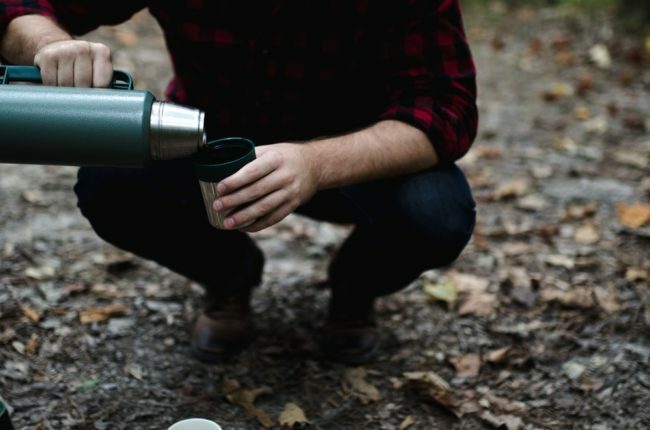 While camping alone might seem intimidating at first, taking a solo camping trip just might offer more rewards than you think and give you a much needed break from city life. So read through our compelling reasons to go camping solo, and get ready to pack your gear and experience the joy of camping alone. Camping alone forces you to do all aspects of camping. Perhaps you aren’t normally the person who pitches the tent, or you’re not camp cook or you don’t plan what to do, you always let someone else take the reins on those tasks. Well, guess what? There’s no one else to make dinner when you’re alone, and no one can set up the tent but you. Obviously you’ll want to have a basic skill set for all the camping needs from pitching tents, to cooking on a BBQ before you leave for your solo camping trip, but once you’re out there, you might surprise yourself. It’s a great way to boost your confidence! Check out our guide to the top 10 camping essentials to start making your list. Instead of waking up when someone else wants to (or when your kids decide it’s morning! ), you can decide to sleep late or you can jump out of bed and head out for an early hike (perhaps even catch the sunrise to really soak up some amazing views and time to think). You can do as much or as little you’d like each day; sip your coffee and contemplate life, pack your day full of fun things to do or a little of both. But no matter how you decide to spend your camping trip, it’s all up to you and what you feel like doing rather than having to consider everyone else. Want to really keep it quiet? Follow our tips for going off the grid during your camping trip. Yep, drink it in. All the space in the tent is yours. Spread out, stretch your legs and take in this opportunity to go sleep whenever you want or keep the light on a little longer reading without bothering anyone. You won’t have to worry about someone snoring and keeping you up, or a little kid kicking you in the middle of the night. So sit back, snuggle into your pillow and enjoy those sweet dreams. Make sure you love your sleeping bag by reading our post on the top 10 sleeping bags. Remember why most people go camping: To be close to nature. Well, here’s your choice to truly spend some time listening to the sounds of nature, viewing it without distraction and deciding when and where you’ll take it in. We bet you’ll hear more than you have on past camping excursions, and you just might sit a little longer looking at the view and perhaps even take some extra special photos to remember this amazing, quiet, relaxing solo camping trip. Plus, don’t forget that Bryon Bay is home to spectacular natural settings from the beach (surfing, anyone? ), to the hinterland, it’s all waiting for you to experience on a different level by doing it alone. And side note: Don’t feel like you can’t talk to anyone the whole holiday! That’s where our little comment about the kindness of strangers plays in: ask for directions if you need help, stop a local and inquire about the best coffee shop or see if a fellow camper will allow you to borrow some gear if you forgot something. Solo camping isn’t just about being in your head (while that can be great), it’s about pushing yourself too, and that can mean knowing when to ask for help or a favour. Have we convinced you yet? Ready to pack your bags and book that solo camping holiday? Make plans to spend your alone time at Broken Head Holiday Park where we have excellent facilities (so it won’t have to be too rustic while you’re on your own) and a beautiful location to spend your quiet time. View our accommodation options and start planning what you would want to do your solo holiday to Bryon Bay!